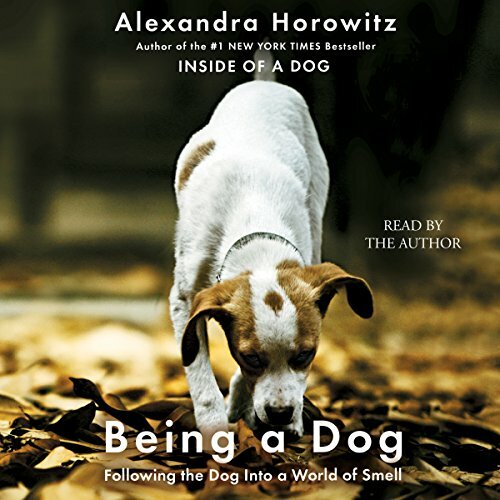 Alexandra Horowitz, the author of the lively, highly informative New York Times best-selling blockbuster Inside of a Dog, explains how dogs perceive the world through their most spectacular organ - the nose - and how we humans can put our underused sense of smell to work in surprising ways. What the dog sees and knows comes mostly through his nose, and the information that every dog takes in about the world just based on smell is unthinkably rich. To a dog there is no such thing as "fresh air". Every gulp of air is full of information. In Being a Dog, Alexandra Horowitz, an eminent research scientist in the field of dog cognition, explores what the nose knows by taking an imaginative leap into what it is like to be a dog. Inspired by her own family dogs, Finnegan and Upton, Horowitz sets off on a quest to make sense of scents. In addition to speaking to experts across the country, Horowitz visits the California Narcotic Canine Association Training Institute and the Stapleton Group's Vapor Wake explosives dog training team; she meets vets and researchers working with dogs to detect cancerous cells and anticipate epileptic seizures or diabetic shock; and she travels with Finnegan to the West Coast, where he learns how to find truffles. Horowitz even attempts to smell-train her own nose.